Cody graduated from the University of Gloucestershire with a 1st Class BSc (Hons) Degree in Sports Strength and Conditioning, where he is now continuing on to study his MSc in Sports Therapy. Cody has worked in the industry since 2010, accumulating a wide scope of experience training people from a broad range of ages, abilities, sports and walks of life, helping them all to achieve their individual goals. Some of these include GB American footballers, semi-professional footballers, county women’s hockey players and a multi-title winning national cheerleading team. 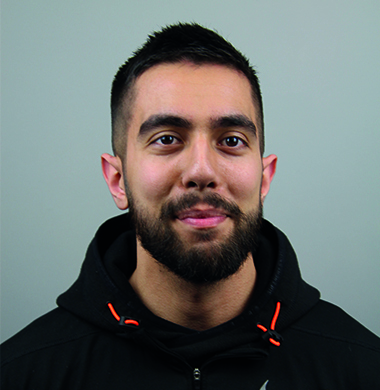 Having also competed in multiple British American football leagues, Cody has first hand experience of optimal training methods to change body composition, improve performance, movement, posture and reduce injury risk. With his added knowledge from his Masters, as well as Sports Massage qualification, Cody can also help provide recovery strategies and treatments to suit your needs. So whether you’re new to a gym environment or a seasoned veteran, Cody is your guy to help achieve your goals whilst having a laugh! Anterior pelvic tilt – hips don’t lie!